Powell & Mahoney Craft Cocktail Mixers, a leading natural craft cocktail mixer company in the United States, is pleased to debut their new carbonated line of sparkling craft cocktail mixers at Natural Products Expo West booth M101. 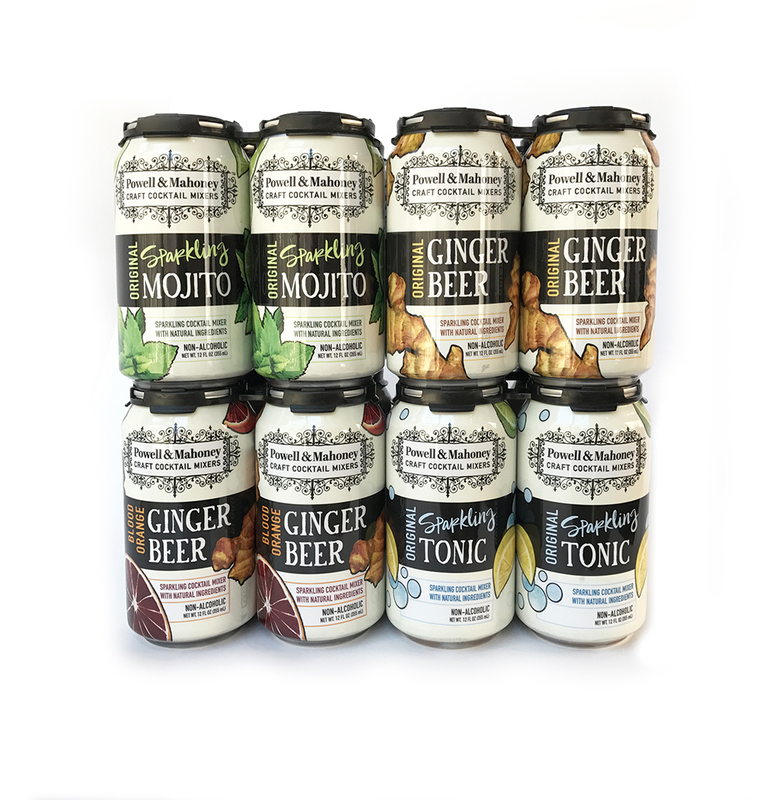 The new lineup includes the following natural flavors: Ginger Beer, Blood Orange Ginger Beer, Mojito, and Tonic. Packaged conveniently in 4-pack 12 oz. cans, Powell & Mahoney’s new line of craft cocktail mixers will be available for distribution in the spring of 2017. The suggested retail price for a 4-pack will be $5.99. The new packaging includes bold fruit illustrations representing Powell & Mahoney’s commitment to using only the finest, natural ingredients. Each flavor is sweetened with pure cane sugar, bringing consumers a light and naturally sweetened cocktail mixer option that can be enjoyed with or without alcohol. Powell & Mahoney received incredible reception of their 750ml bottled sparkling cocktail mixers in 2015—their Original Ginger Beer helped them become the top selling cocktail mixer brand at Target. Previous Article8 Winter Margaritas Perfect for National Margarita Day!